One of the first things I did after I left my corporate job to start my own company, was I spent 6 weeks playing a game. I know, youâ€™re thinking that sounds a bit like post-cubicle depression, right? But this was no plunge into escapism, no existential Crysis, no losing myself on some shard in the seductive World of Warcraft. Instead, it was immersion into a massively multiplayer game about envisioning the future. Or perhaps, it was a global collaborative scenario planning exercise with strong game-like qualities. Either way, I became the character ‘ubik2019’ and entered the world of Superstruct along with several thousand other people around the globe. Our goal was nothing less than to work together to save humanity. The game revolved around the confluence of five major “superthreats” – pandemic disease, food system collapse, energy crisis, technological outlaws, and global refugee diasporas – which together threatened the very survival of the human race. 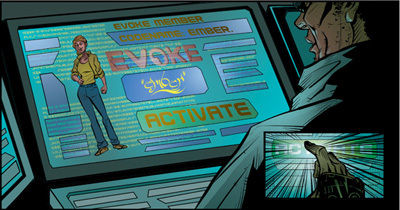 Players worked to create stories, strategies and solutions to these threats, and earned achievement badges for demonstrating a range of collaborative skills. Not coincidentally, the skills required to succeed in Superstruct were drawn from earlier work at IFTF which identified a number of new competencies and collaborative abilities for a connected world. These ranged from skills like High Ping Quotient and Open Authorship, to Emergensight, “the ability to prepare for and deal with surprising results arising from coordination and collaboration at extreme scales”. These are the foundational skills of what IFTF calls Amplified Individuals, people who excel at navigating a fast changing, interconnected world through augmented social, collaborative and improvisational behaviors. For further reading, see the fullÂ Superstruct skills list and IFTF’s map of the Future of Work. There are a couple of intertwined ideas here that you should take note of. The first is the concept of large-scale distributed collective action, where hundreds or thousands of strangers come together online and cooperate to solve complex, multifaceted problems. In the same way that Gen Y employees brought new communication practices like IM, blogs and wikis into the workplace, the next generation of workers will have expectations and expertise in global cooperation honed in ARGs and MMOGs, along with public social performance practices learned from Facebook, Twitter et al. And like their predecessors, they will probably experience frustration with less collaborative, less open colleagues and managers, and they will face pushback from IT departments struggling to maintain control over tools and enforce secure network boundaries. The second idea is the use of game mechanisms – missions, achievements, badges, leveling and such – as a way to make activities more engaging, satisfying and impactful. Game mechanisms are increasingly being put to work as a way to tap into the focus, goal orientation, commitment and flow that gamers experience in play, but aimed at contributions with real world impact. The field of ‘serious games’ is making significant progress, led by researchers such as Byron Reeves at Stanford, Liz Lawley at RIT, and Ian Bogost at Georgia Tech. If you want to get firsthand experience with a global collective action game, join us March 3 – May 12, 2010 for EVOKE, an alternate reality game designed to help empower young people around the world, and especially in Africa, to come up with creative solutions to our most pressing problems: hunger, poverty, disease, war and oppression, water access, education, climate change. EVOKE is a project for the World Bank Institute, the learning and knowledge arm of the World Bank. As creative director McGonigal says, “We consider it a crash course in changing the world.” I hope to see you there. 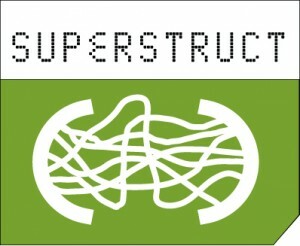 Postscript: In April 2009, Superstruct was honored as the â€œMost Important Futures Work of 2008â€ by the Association of Professional Futurists. So it wasnâ€™t just a game after all. Or was it?